Okay... there are a lot, and I do mean a lot, of posts asking about how to get that first job. I check these posts from new people who are asking "why can't I get hired" and when I go to look, their profiles aren't even filled out, no tests are taken, or what is filled out is just filled with mistakes. To top it all off, there are just as many contractors handing out bad advice. 1. Set up your profile! Yes, a lot of people come to online sources because it's easy and convenient - but that doesn't mean that they want to completely give up the personal experience as well. Your profile is what will introduce you as a person as well as an applicant to the people reviewing your cover letter. Make it count. Overview - One of the most important parts of your profile is your overview. It should introduce you to the client and establish your objective. Use this to set you apart from other contractors. "I write fast and can get the job done quickly." So what! Chances are, 90%-95% of the other applicants can, too. So how are you any different? "I want to be the best provider to my clients." Again, so what!? This doesn't help you at all because everyone else says the same thing. Not to mention - it should be a given that you want to provide the best service. Your overview should answer the question "why you should hire me over the other guy" ... If it doesn't answer that question, it's not a good overview. Picture - After all, they speak a thousand words, right? It's not a requirement to have a picture, but it does help. Make sure you follow oDesk's identity policy when choosing a picture to post - but in general, any picture of you with a smile on your face will do wonders for you. People like to put a face to a font... So give them one. Hourly Rate - I hate to say it, but there are a lot of clients that will look at your hourly rate. I am not talking about whatever rate you bid on a project, but the rate that is displayed on your profile. This rate should reflect the level and quality of work that you provide and should be a fair reflection of a going rate for the field / category you are interested in working for. Is there a difference? Of course! Can you expect to get paid the same amount of money for site scraping as you can for writing articles? Probably not unless you are the best darn web scraper in the world (and can back it up!). If you're not sure what to set your rate at, look through at other providers, or go through the oConomy pages, figure out how much you would be paid for the exact same job at an office, or do a search to see if you can find out what the average going rate is for that field and adjust that average to reflect your experience level. Take and Show Tests - Some clients won't even look at you if you're not oDesk ready - so take that test! Beyond that - take any other test that will help show just how good you are at something. How is a client going to know that you're the best web site designer if the only test you took was an English skills test and a telephone etiquette test? Go to the oDesk tests and search for tests that are relevant to your field and take them. Then make sure you show the ones you need. Tests you happen to fail will automatically be hidden, anyway; But those tests where you barely pass, hide them until you can retake them and try again. Everyone is entitled to a bad day, no need to display for all to see that you are in the bottom 20% of people who took the test. Retake tests as you get the chance to raise your scores and show off your knowledge. Build a Portfolio - This may be easier for some than others... But a portfolio is a great way to display your work. If you build web sites - place some links in there to web sites that you've built. If you're an artist, then throw together some logos and interface designs and place them up there. Writer? Post a link to your blog... Anything that will show examples of your work without violating any terms of service is good. Also important, once it's up - keep it updated. Check the links to those web sites to make sure they're still working and place up new examples of your work as you complete them. Be Honest - If your English isn't a 5.0 - then don't rate it at 5.0... Clients will be able to figure it out and you will look like a liar. If you can't be honest about something like how fluent you are in English, why should anyone believe that you're being honest about anything else? 2. Once your profile is set, then it's time to sell your self to the clients. And by sell your self, I don't mean pay them for the privilege of working for them. I mean convince them that they should hire you and pay you what you want. So, how do you do this? C) Explains your costs and terms (such as how many hours it will take to complete, or how much money you will require upfront for a fixed rate, or any guarantees that you offer). And for goodness sake - don't send the same cover letter to each and every job posting. The clients always know. You aren't fooling anyone - so just stop. Never beg for a job... It makes you look desperate, not professional. 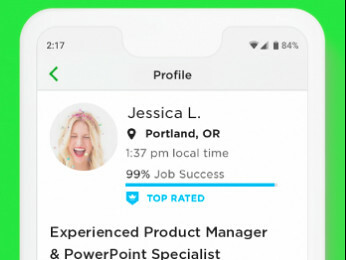 Never lower your hourly rate to a ridiculous amount in hopes of landing a job (or worse, offering to work for free)... Again, it makes you look desperate and gives the impression that you don't deserve whatever amount you have posted on your profile. Now, for me - and I know other contractors disagree with this (and that's fine) - I also include a paragraph within my cover letter that explains about the ability to contact me. I don't include my contact information - but I do let them know that I am available via Skype, email, and cell phone as well as via my oDesk message center. I also let them know that all of these messages are forwarded to my cell phone to help expedite communications (well, except calls to my cell phone - since that would be redundant). I include this because I would want to know how easy it is to get a hold of a contractor, or if I would be limited to just the oDesk message system. Also, for me, I will ask all sorts of questions in my cover letter. Some contractors view this as unprofessional, and that's fine. Like I said - this advice won't work for everyone. But if there's a discrepancy in the job description, or if I just want to know more details than was given, I ask then rather than waiting for the interview. What does this do for me? In a lot of cases, the clients want to answer the questions, which gives them more of a reason to place me into an interview, which gives me a better chance of talking to them and convincing them that I am the best candidate to hire for their project. This doesn't mean just start asking any stupid question you can think of. "What's your favorite color?" will probably get you rejected. But asking a question like "Do you think you might also be interested in having Twitter integrated onto your site?" will raise an eyebrow. How else can you sell your self? Glad you asked. You don't have to rely on oDesk's search function to find jobs. Nor do you have to rely on the idea that a client will find you and invite you to an interview. Do you have Facebook, MySpace, or another site that you use? Find the little badges in your account and post them up! Chances are, one of your friends on Facebook might see that you are available for hire as a writer - and they might know someone who just wrote a book that needs editing. 3. Bid often and Bid Reasonably Earlier I spoke about the hourly rate that is posted on your profile - now I'm talking about the hourly rate or fixed price rate that you enter onto the little application form that will accompany your cover letter. This bid can be different from what's posted on your profile - but it should still be reasonable. What do I mean by reasonable? 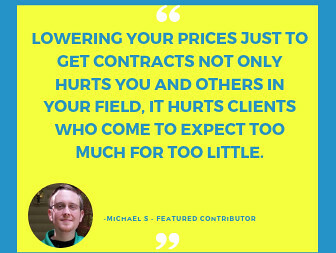 Remember, it looks bad if your hourly rate on your profile says that you charge $10 per hour if you then bid on a project at $1 per hour... And you shouldn't let a client's budget dictate the level and quality of professionalism that you can provide. And bid often! I still continue to fill out my quota of 20 applications per week. *edited* The only time I slow down on my bidding is if I am beginning to get overloaded with projects. Don't send out just 2-3 applications and then get disheartened that neither one has accepted you yet. 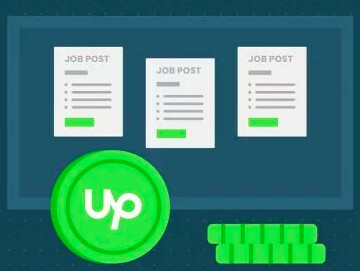 This doesn't mean sit down and apply to 20 jobs all in one day - spread them out. I read through just about every hourly job posted (I always filter out the fixed price jobs), but I probably apply to only 4-5 jobs every day, if that many. Be discerning - if the job isn't worth your time, wait a couple more hours and see what new jobs have been posted. It won't do you any good to apply to a job that you're only semi-interested in only to find a great job that you would love to work on but can't apply because you've reached your limit already. Okay - wow, this is really long. Hopefully this will help to get some of you started. But, long as this is - you also need to remember that this is not the most complete listing of advice, and it's not meant to be the end-all be-all or any sort of guarantee that following these steps will get you hired, just a system that works for me. Remember to find your own niche - whatever works for you. Think I'll wait for the movie. You capture the essence of working well on oDesk. Thank you! Thank you very much man. I feel more confident after read your posting. I think I will get a first job. Thanks, I will take this advice to heed. I have been anxious to pick up a job and have been wondering why I have not had many responses. I think your advice will help. Wish me luck!! Tyvm! Your post is the sweetest most sincere post I've read on this site. Your drive and ambition is motivating. I've just joined this site and your info is exactly the pep talk I needed to hear. I really appreciate your leadership and important guidelines. I hope you have a huge financial blessing in the near future! Thanks again! hi, i'm facing a strange problem. when i apply to a job it says "contractor requested is no longer available". what can i do?